Yes, that is impossible, funny too. Check out: http://www.sumopaint.com/web/it is free. cute and colorful! Nice work! 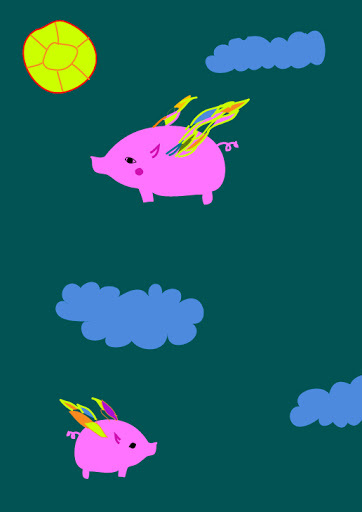 One day genetic engineering will make flying pigs and ruin the saying. But until then… great illustration.